Climate Change is about People, People! We tend to forget that climate change is a human rights issue. A force created by people, our warming climate and acidifying seas are not only drowning polar bears, they are drowning entire cultures. I am convinced that if more people understood this aspect of the problem, we might generate the enormous demand it will take to shift our global society from fossil fuels to clean energy. And now there is a simple way to get this argument out there: share with friends and family the remarkable story of The Island President. 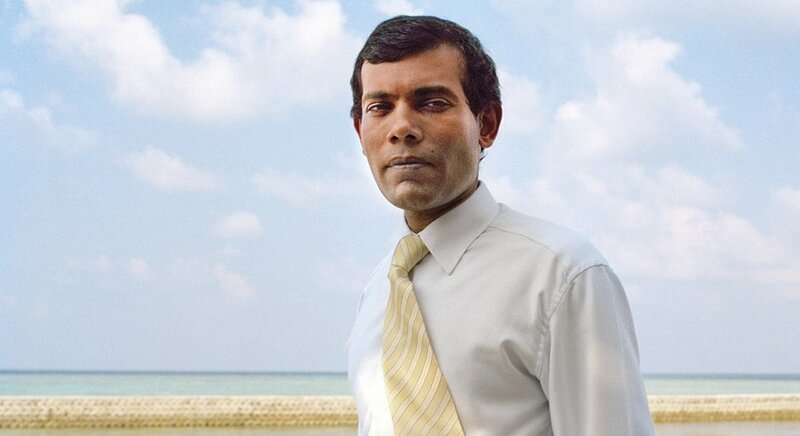 Former President of the Maldives, Mohamed Nasheed. When it comes to the issue of the “right” to continue use of fossil fuels, The Island President challenges us to reconsider who pays the price. In this fantastic movie, we gain unfettered access to the intimate workings of President Mohamed Nasheed’s tireless campaign to save his people and his country from becoming the first in modern history to literally disappear. 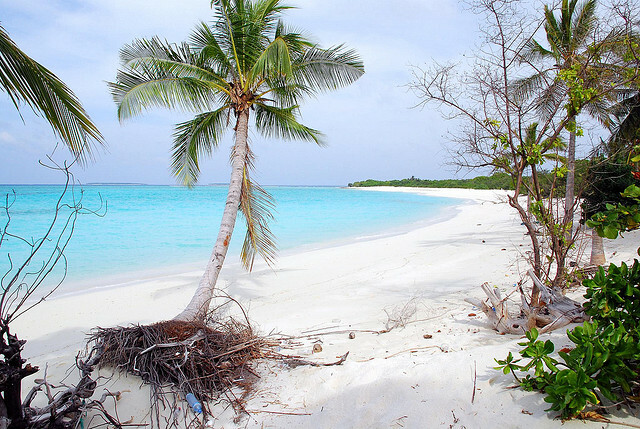 Long before corals or polar bears blink out of existence, small island nations like the Maldives may cease to exist. I wrote about this issue several years ago when Nasheed first took office, and worked with the organization, Islands First, to help establish climate change as a threat to national security within the UN. And although some progress was made, not enough has been done to help those people who are most vulnerable to—and least responsible for—rising seal levels. Part of the reason, I think, is that most people have no idea that entire nations, along with their millennia of culture and history, could be wiped off the map. And the reality of this fate is different than anything that has ever occurred before in history. It is different than an invasion, where, over time, a displaced population can return home. It is different than a natural disaster which may devastate a section of a country, and over time, can be rebuilt. It instead is the literal extinction of land and with it, the historical and cultural ties of an entire people—and it is the result of actions taken by foreign countries. For people whose ancestors lie within these islands, their national identity is as tied to the land as it is to each other. Climate change threatens to tear them away from both. If displaced, how will entire countries manage to keep their cultural and national identities when their people are scattered far and wide? How can they maintain their sense of self when their entire history sinks beneath the surface? It is not hyperbole, therefore, when Nasheed claims that for his country, climate change is like a Nazi invasion—though at first it was perhaps unintentional, we are now fully aware as developed and developing nations that by continuing our use of fossil fuels we are directly threatening the national security of dozens of countries and contributing to the eradication of entire cultures across the globe. Time is running out, but this amazing story of a true climate hero provides a simple way for all of us to get this message out there and help raise support for action. I urge you to bring the movie to your town by hosting a screening. If that seems too big a task (but really, is that so much to ask?) you can download it on itunes and invite some people over to watch. Share it with your kids, neighbors, co-workers, and especially those you are most hesitant to engage—they likely need it most. After, let me know how it goes. I’d love to hear about who has hosted an event and what kind of conversations or actions it led to. To continue to get involved, check out 350 to find out about activities happening in your neck of the woods. President Nasheed was unfortunately deposed in a military coup last year… so now, more than ever, his story needs to be amplified. We must pick up from where he left off while he continues to fight for the democratic freedom of his country.